Suddenly she was dangerously involved with her boss — a brilliant young surgeon, who didn’t believe in marriage. All the women who knew Dr. Tony Gray agreed that he was too attractive for his own good — yet none of them could help falling under his spell. 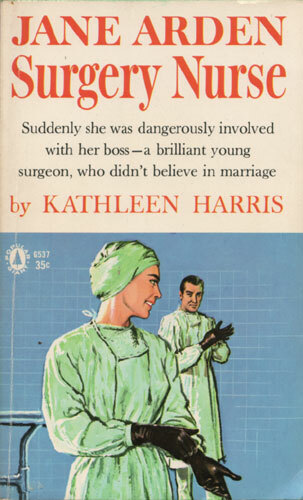 When Jane Arden met Tony, first as his head surgical nurse, then as his latest romantic interest, she felt his belief that marriage didn’t mix with medicine made him “safe” for a girl who had an understanding with another man.